Woow! This one is so cool. But Emiley I have a question. 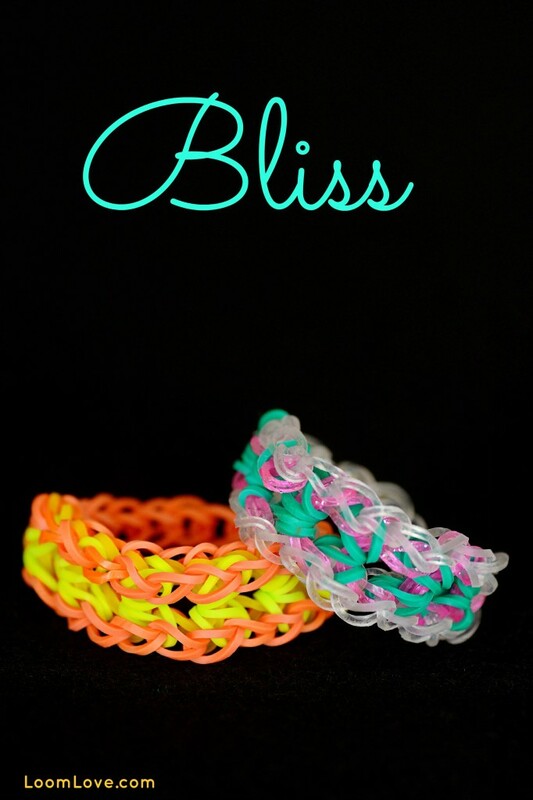 Question: Why did you decide to call this braclet, The Bliss?? Please reply me back why. I’m just curious a lot of times. 😀 Well yeah again this braclet is cool. Honestly, we’ve made dozens of designs… sometimes it’s quite a challenge to come up with a name for each one. I know! It was hard to think of a name for my Butterfly Wing Loop bracelet too. what do you mean, grace? just wondering. Hey, I have a question. 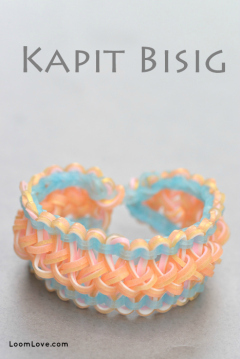 Why do you say to make the clear pink bands into eight/infinity shapes? I tried it with the eights, and then without, and they both turned out exactly the same. Hey LoomLove! i just LOVE all the bracelets that YOU invented! 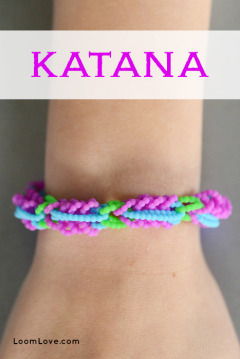 Could you give me some tips on inventing bracelets? Whenever i try to invent a bracelet and pull it off it ends up braking or looking really messy. You dont need to reply to this comment. BTW i love the Bliss bracelet!!!! Hi Emily! This is my favorite bracelet so far in Rainbow Loom. I also like the popcorn bracelet. 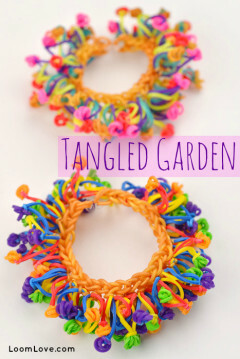 It would be nice if you made a tutorial on how to do that because I want people of the world to see the popcorn bracelet! Thanks again, Natalie. hey emily i just wanted to let you know how awesome this braclet is i allready made 15. Oops I meant keep coming up with cool ideas!!! hi. i have a question. I i was wondering u guys sell just the loom. or the blue things that go underneath them? Omg, this is one of the best bracelets I’ve ever pulled off the loom. I made one mistake, but other than that, it’s perfect! 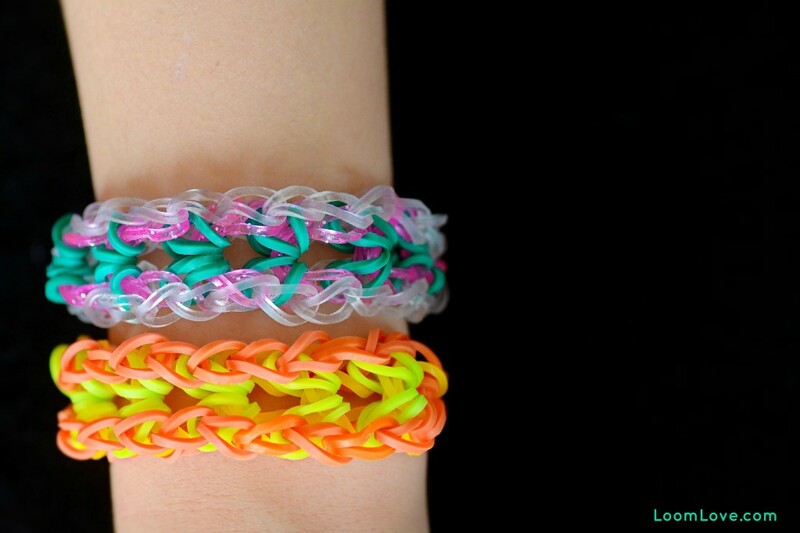 Btw, do you have any advice on how to get better at rainbow loom? The more you loom the wasier it is. I’m not a genius at loom, and when I started I knew I was never going to reach loomlove standered. But I kept at it and now I’m creating new designs almost daily! I extended mine by doing the same thing but putting my cap bands onto where you start hooking the bands instead of a cap band so the patteren kept going and my loom is a crazy loom i guess i bought it from lincraft nz so i dont know and you cant move the pegs around ???? This is a great bracelet! I’m making this for a watch strap. My loom completely fell apart, one of my bar pins just snapped and I am completely raging at my loom. Tried to fix it so many times and I’ve now just given up. Gahhhhhhhh!